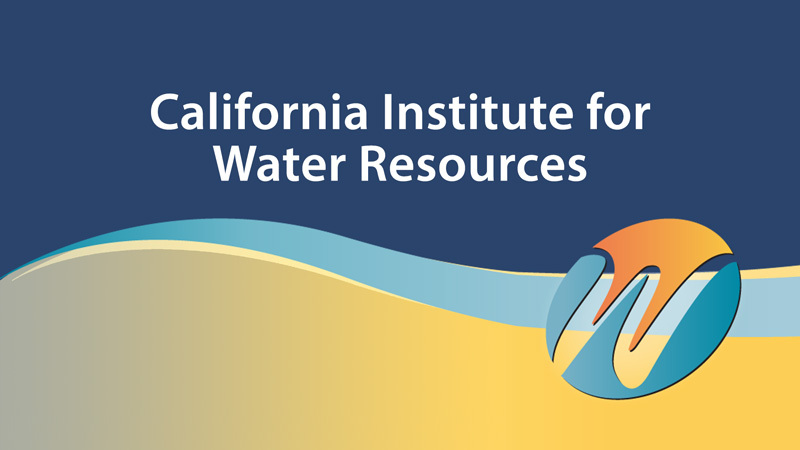 This online seminar series from University of California, Agriculture and Natural Resources and the California Institute for Water Resources, with support from the California Department of Water Resources, brings timely, research-based, relevant expertise on water and drought from around the UC system and beyond directly to interested communities. Water is always a big issue in California. 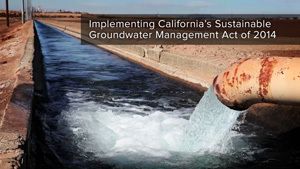 Thomas Harter, Professor and Specialist in Cooperative Extension at UC Davis, discusses the implementation of the state's landmark groundwater legislation known as the Sustainable Groundwater Management Act. Though Sierra Nevada forests are adapted to frequent low-intensity fire, modern fire suppression has led to higher density of tree populations and fuels for higher intensity fire. 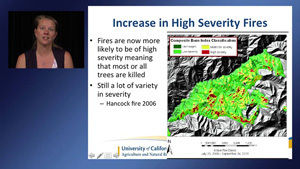 Susie Kocher of UC Cooperative Extension discusses the relationship between drought and wildfire in the Sierra, and advises on strategies to alter the current fire regime. 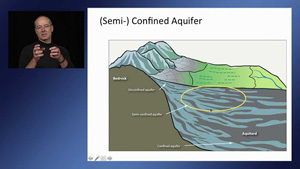 Thomas Harter, Professor and Specialist in Cooperative Extension at UC Davis, discusses how groundwater and surface water interact during times of water shortage.